These are hand built cedar swivel bar stools 30 inches high. Finished in varnish. 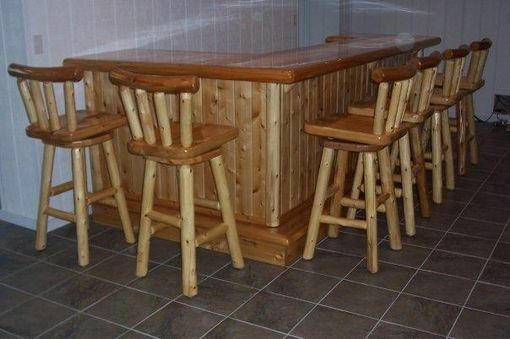 The quality put into the stools is unsurpassed . 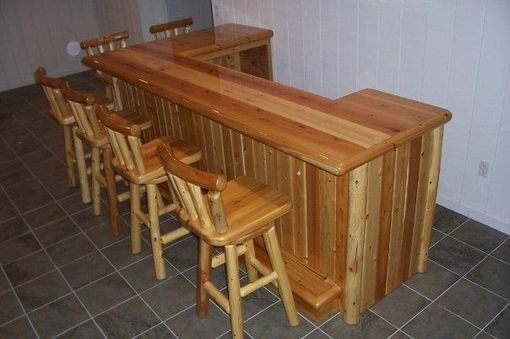 Carl's workmanship is outstanding. He does an excellent job of communicating throughout the project. The care he took to protect the finished product for shipment was IMPRESSIVE.